Recently I have a power failure and it caused network stability. I have no idea how it affected gnome online service that the previous configured service keep saying "Timeout was reached". This is very annoying and frustrating because the email configured in mail client, that is evolution also failed to get email. * reconfigure mail account in mail client Evolution. 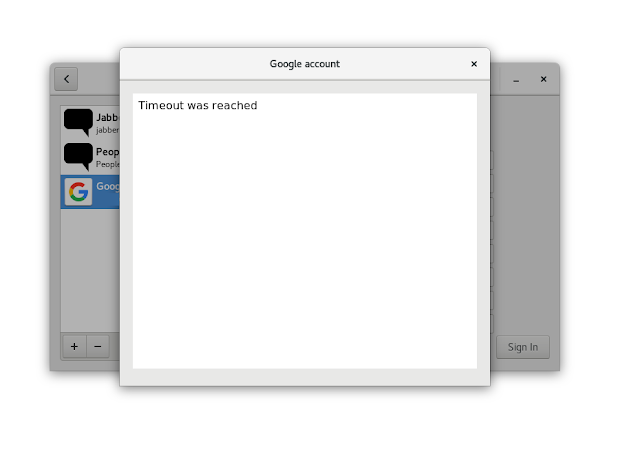 * delete and re-add google account in gnome online account. * make sure the gmail settings allow non secure application access, that is , not the two steps process. All these were unable to revert or fix the situation and it is very worrying and frustrating because it impacted my work. I google around and many suggest to kill the service and start it back. The service mentioned is goa-daemon. But this also does not work. Finally I managed to get it work. First, make sure the hostname resolution work and it work quick. The only fastest way is to have your own DNS work locally. 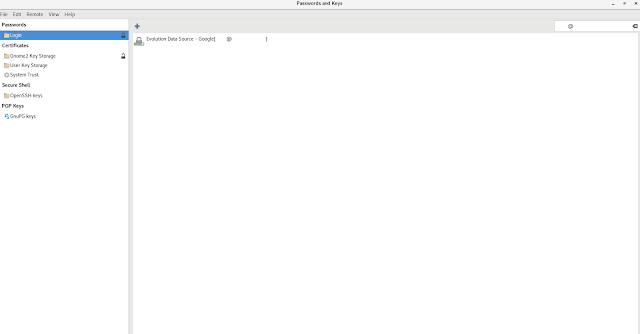 Second is remove the gnome oauth for your email password. How? for gnome, it is very easy , launch seahorse and locate your email configured. In this case, it is my gmail. Then remove the entry. Now, relaunch your email client and if you have configured email, it should prompt again for password. It works again for me and I thought this help you too.